Check if your malware and virus protection is working and if not, get the next generation software. Check your privacy and security options. Pay attention to the exceptions and whitelists. Check your email settings and rules to ensure your emails are not being forwarded to another account. 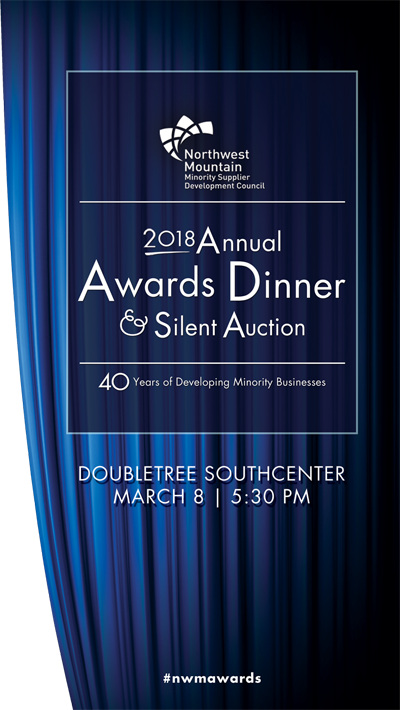 The Northwest Mountain Minority Supplier Development Council (MSDC) values Minority Business Enterprise (MBE) business engagement. To highlight the benefits of MBE to MBE partnerships and collaboration, we interviewed Carmen Nazario, Minority, Woman and Veteran-Owner and President of ELYON International, Inc., and MBE to MBE advocate. How active is your company with MBE to MBE business engagement? We are quite active with the MBE community and have been steadily working with MBEs for over twelve years on various types of business engagements. In some cases we were the prime contractor (prime) and they were the sub-contractor (sub). In other cases we were the sub and they were the prime. The earliest MBE partnership I can recall was around 2005. The longest—and largest in terms of revenue—was a five year contract with a federal agency, which ended in 2017. In that particular instance, ELYON International was the prime. Overall, how did working with MBEs (past and present) impact your business? We polled some of our corporate members and MBEs on effective networking. They sent us some of the best practices, tips, and Dos and Don’ts of networking. Be patient. (Networking and establishing business relationships takes time). Come in with a targeted list of who you want to make an impact with and what you will offer. (Remember to always) be professional, have a professional presence. First impressions are important. Relax, networking events can be overwhelming at times. Believe that you can and will make great progress. After making all the necessary preparations, having the right mindset can lead to many great things. Don’t assume that the person that you met previously will remember your name! Unless a person is addressing you by your name when you see them again, then assume they don’t know and state it again. Show passion for what you do. LISTEN closely to what’s being said. Listen twice as much as talk. Ask questions. Show excitement for what they do. Write down information in stenography notebook. Consider this first meeting as an opportunity for relationship building and for future opportunities to connect… you’re not going to get it all done with the first meeting, so don’t try. We don’t want to (and you shouldn’t want to) spend 30 minutes with any one individual at a networking event. Don’t be disappointed if a target corporation is not interested or doesn’t have any current opportunities. It’s better that you know now than be strung along. However, don’t assume that corporations do not talk to each other… we do! And often times, we can be your resource to meet other potential targets. Ask about other companies attending the event that they should meet. We can be very helpful this way and want to direct you to those that can benefit from knowing more about your company. Instead of trying to collect contact information, I’m actively listening to the people I meet at an event and trying to figure out how I can help them solve a problem. If I can’t help them directly, I connect them with someone in my network who can do that for them. I try to be a connector and give more value than I get. Team up with an existing customer to use as an immediate reference to your work when meeting future/potential customers. An in-person testimonial can seal next steps quickly. Seek to develop a relationship with the event host leadership. In the case of the Northwest Minority Supplier Development Council, a MBE should develop a solid rapport with the CEO, Staff, Board of Directors and Corporate sponsors. Make the ASK and go for the appropriate close so you get a chance at the next steps. Exchange cards and ask if you may contact them. Ask for a business card and let them know you’ll be contacting them in the near term to provide an electronic capabilities statement, but also an email to better define your value proposition for that particular corporation. Don’t ask for a business card if you have no intention of following up. If you have provided us with your business card… we’ll remember that you didn’t follow up. If you make a solid corporate connection during an event and you would like to follow-up with that person, politely ask if you can schedule a meeting with them right on the spot! Recommendation – ask for a date at least 30 days out from the current date to minimize potential conflicts as many Supplier Diversity professionals typically have a busy travel schedule. Also for an initial call, I recommend you ask for a 30 minute or less conference call – not an hour. Don’t let nerves take over so you keep talking, don’t dominate the conversation. DO NOT take all of their time or make them feel captive. Networking is meant to mingle with many people. Don’t try and “sell” your company’s products and services at a networking event unless the conversation lends itself to that; on the other hand, be prepared to clearly articulate your business in a 15 second elevator pitch because invariably someone will ask you “what do you do”. Don’t distribute handouts… this is not the time or place. LEAVE any marketing materials at home – give and collect business cards. The above information is intended solely for personal non-commercial use. Any information taken from this page is the full responsibility of the user. While we have taken every precaution to insure that the content is both current and accurate, errors can occur. The information provided is general in nature and should not be considered to be legal, tax, accounting, consulting or any other professional advice or service. For our legal disclaimer, please visit www.nwmtnmsdc.org/disclaimer. Networking at a Council Event. Image by Mike Nakamura Photography. Northwest Mountain MSDC events provide excellent venues for business networking. While preparing for the 2018 Annual Awards Dinner & Silent Auction, we polled some of our corporate members and MBEs on effective networking. They sent us some of the best practices, tips, and Dos and Don’ts of networking. Please remember that these are the opinions of contributors, and not necessarily reflect the opinions of the Council, and these apply to Premiere Events. For full legal disclaimer. please visit the Council's Disclaimer Page. Before you attend an event, decide what success looks like for you. Document your objectives for the purpose of observing what you achieved after participating. Plan your strategic approach and strategic communication. Be prepared, review the members list before hand and set a goal for who you want to meet. Identify important people you want to meet and reach out in advance, if possible. Say "Looking forward to meeting you." Make the most of your time by ensuring you do your homework and be prepared for those you will be meeting with. Prepare a short paragraph on exactly what you do. Practice it. Refine the introduction of yourself and the business your represent – customize an introduction for a corporate target vs an “unknown” individual, but also identify whether you are the business owner, BD rep, etc. We want to know who we’re talking to. Have your elevator speech solid and ready including what is your value proposition specific to those you’re targeting at the networking event. A generalized value proposition doesn’t always cut it. Elevator speeches should not be more than 3 minutes. Don’t try to land a job, your goal is to make the introduction. Building rapport with someone is extremely effective if you are good at asking questions – practice listening more and talking less. Make a list of questions you want to ask your target company. It shows interest and intent. The answers you receive may also help develop your business strategy. Know your audience: in other words, do your homework on WHO is attending the networking event and then DO research about them before you get to the networking event so you’re up to date about their business model, recent press releases & strategy plans. Check out the company’s Supplier Diversity website – not all programs are the same and it will give you a foundation of understanding what you need to say. Research the company’s mission, so you know their company’s top priorities and it then becomes apparent you have done your research. If you can, KNOW what your future potential customer needs are BEFORE the event so that you network with future customers who actually could consume your products or services. A win-win for both parties at a networking event. Be prepared to communicate your value proposition and what makes you different than your competition. (Corporations are contacted by hundreds of suppliers via email, at events, phone calls etc., each supplier wants a contract and would like to do business with us – but why should we do business with you versus the other 99 suppliers who approached us before you? What makes you different? Be prepared and ready to communicate this). Practice your introduction with what you want to offer. Practice on your elevator speech and make it brief but informative. Be professional! Know who is coming so you can plan what to say and what to bring. Bring a stenography notebook for writing down contacts. Four columns: Name, Organization, Position, Notes. Always bring enough of your business cards to any event. BRING your owner and decision makers to build those relationships and show the face of your company beyond the sales person. Be professional, have a professional presence and proofread your marketing materials. First impressions are important. (With regards to your business cards) from a print perspective, glossy business cards look cool, but I prefer a semi-matte finish so that I can write on my cards with a ballpoint pen. This may be a website, an app, or a quick tip I can share with someone. It attaches greater value to my name and it’s convenient. Make a list of current or past business partners that you can talk about and use as reference during and after networking. If you can find an “icebreaker” or someone to make the introduction that is really helpful but not necessary. Over dress! Make sure to be in Business Professional Dress (No 2nd chance for a 1st impression). Wear something to an event that is professional, but memorable! Most business events have a plethora of people wearing black, however bright, solid colors really stand out. While your connection may not remember your name the next time, they may remember something about your outfit. Dress appropriately & drink responsibly. When you know that some of your target corporations will be attending a networking event…DO some homework, but DON’T dominate their time. Remember, this is your first opportunity to meet your target and leave a lasting and great impression. Make sure you leave us wanting to further the conversation because having a foundation of a strong relationship will keep you memorable.